The Wexford-Savannah Axis has as its foundation a careful and scholarly approach to understanding the relationship between Wexford and Savannah. The primary purpose of this project is to share this information to a broader public in ways that are accessible to as many constituencies as is possible in both in Wexford and Savannah and their broader regions. This outreach will not only educate people in both locations about their shared heritage—it will also facilitate greater economic relations including trade and tourism. The Wexford-Savannah Axis seeks to insure that this rich heritage is sustained by engaging college students in the discovery and communication of the research findings. Starting in 2014, Georgia Southern University's Honors Program and Center for Irish Research and Teaching have sponsored students to participate in summer research programs to investigate the Wexford-Savannah connections. They have made noteworthy discoveries and presented to hundreds of people in Savannah and in Wexford. The work of the project and our students depends upon a strong network of partners in both locations. 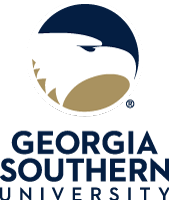 The founding partners in the Wexford-Savannah Axis research consortium are Georgia Southern University, the largest university in the State of Georgia south of Atlanta, the Savannah based Georgia Historical Society (1839), the premier independent historical organization in Georgia; Waterford Institute of Technology, the foremost university in southeastern Ireland; and the John F. Kennedy Trust, a heritage foundation that operates the Dunbrody Emigrant Experience Center in the historic Co. Wexford port of New Ross. The project also enjoys outstanding support from individuals, organizations, and county and municipal entities across Wexford and Savannah. Ireland’s D’Arcy: Nation to up engagement with Savannah, U.S.
Georgia Southern launches research partnership with Irish university: Why did so many Wexford people choose Georgia as their new home in the 1800s?